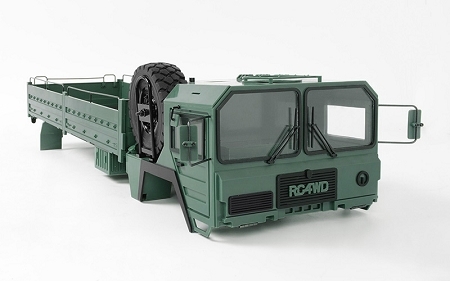 This new Mil-Spec Assembled Hard Body Set (Green) captures everything you need to bring your Beast II chassis to the next level. It has an amazing assortment of scale details including mirrors, scale tire holder with spare tire and wheel along with handles to replicate a real 1:1 vehicle! This Body Set includes an assembled wheel and tire that may be added to the spare tire holder. Some small accessories are shipped uninstalled to prevent damage when shipping. These will need to be assembled.